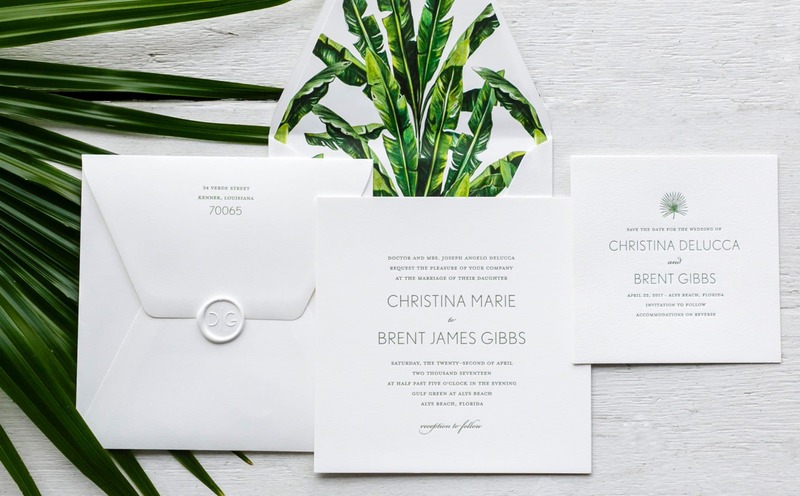 Christina and Brent’s wedding invitation exudes a modern tropical feeling, greeting guests with exuberant foliage abundant in both New Orleans and Alys Beach. Clean typography letterpressed in palm green paired with a minimal white wax seal lends this invitation suite the crispness of a seaside breeze. 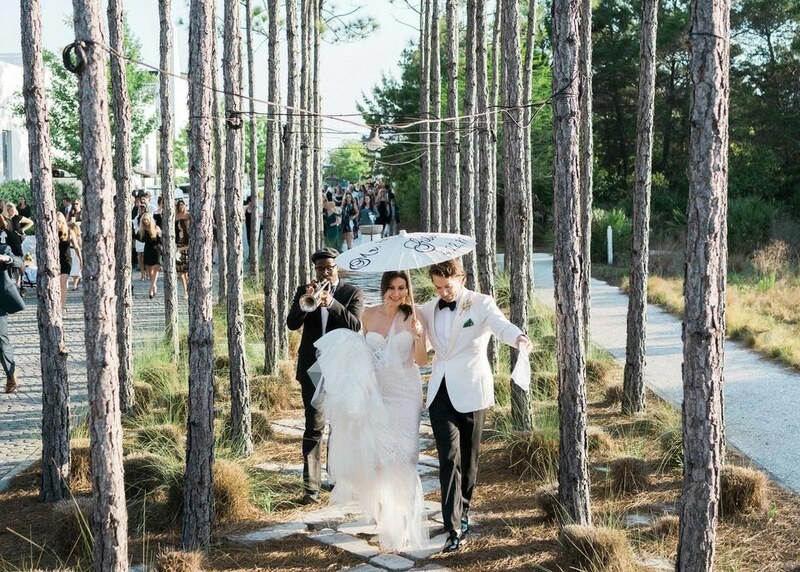 The paper trousseau captures the setting of the couple’s wedding ceremony in Gulf Green, Alys Beach. 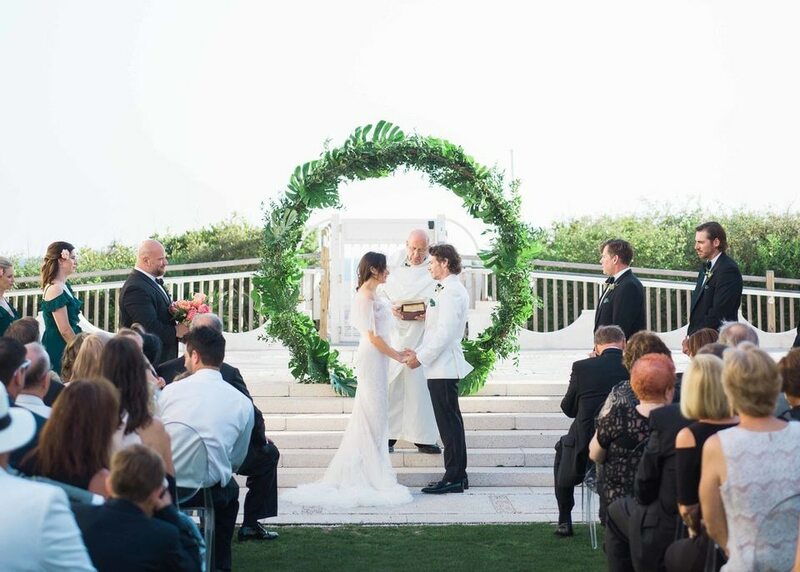 A circular monstera leaf arch framed the couple as the said their vows against the backdrop of the Gulf of Mexico. Reinforcing the green and white theme begun in the invitation suite. 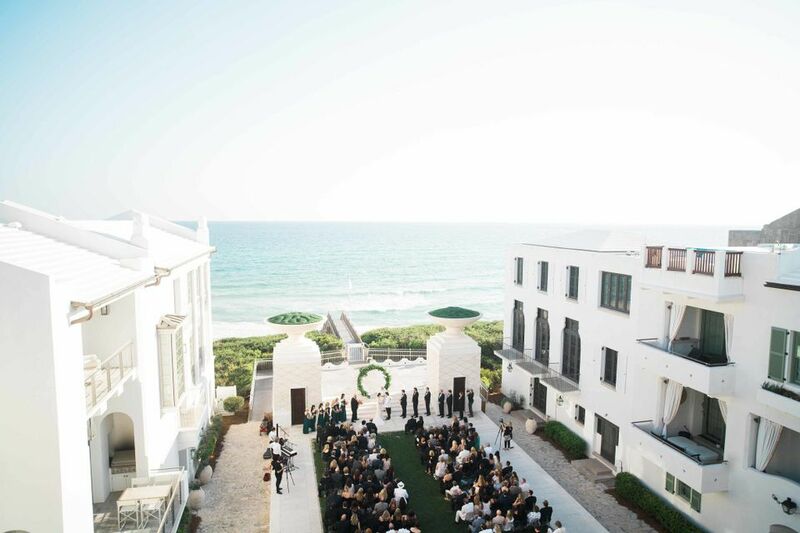 Christina and Brent chose to have their wedding in Alys Beach, a sentimental location where they fell in love. New Orleans touches, such as a second line procession, got the good times rolling for all involved.